Discussion in 'Events and Networking' started by JakeMA, Dec 24, 2015. Apart from being main sponsors for the Affiliate Ball. MonsterAds always sponsor one of the greatest, exclusive, networking events for all the mailers in the industry. If you're heading to ASW next month and you mail you don't want to miss out on this event. 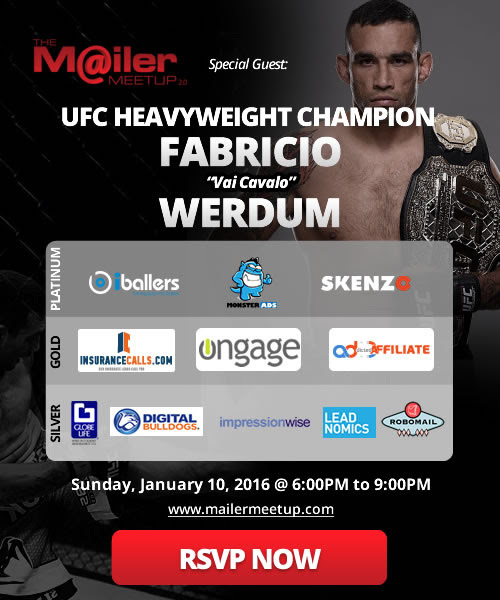 The Mailer Meet Up MailerMeetup 2.0 - Exclusive Event is a great way to kick start your year by networking, finding new offers and bouncing ideas off other top mailers. Just a heads up guys.... The Mailer Meet Up will soon be closing their registration on the most exclusive networking event. Don't hesitate to reach out or you'll miss out.